A new field survey is under way to assess how old Westport is holding up. The study is the result of a Historic District Commission initiative to update the town's Historic Resources Inventory. To conduct the survey, the HDC has hired architectural historians from the Pawtucket, R.I.-based Public Archeology Laboratory. The lab personnel conduct field surveys of historically significant properties. PAL historians began their surveys this week focusing on the town center, the Kings Highway North Historic District and other properties located throughout the town. During each review, PAL consultants photograph the property and note features such as the architectural style of the building. On Tuesday afternoon, PAL architectural historian Quinn Stuart and assistant architectural historian Blake McDonald's route took them along Roseville Road where they surveyed a white colonial revival home. "You see the style reflected in the fact that the door's on the long side of the house and you have the fanlight panel above the door--that's very colonial revival," said Stuart, pointing toward the house. "People in Westport take a lot of pride in their homes and in the history of the town." Reviewing historical properties in downtown Westport also represents a top project objective. In light of the Planning and Zoning Commission's recent focus on downtown revitalization initiatives, HDC Chairman Francis Henkels said in a statement that the HDC is "concerned with the identification and preservation of potential historic resources in the town center." The HRI update project, he added, will survey about 70 downtown properties and make recommendations for incorporating the preservation of historic resources into future planning and zoning measures. 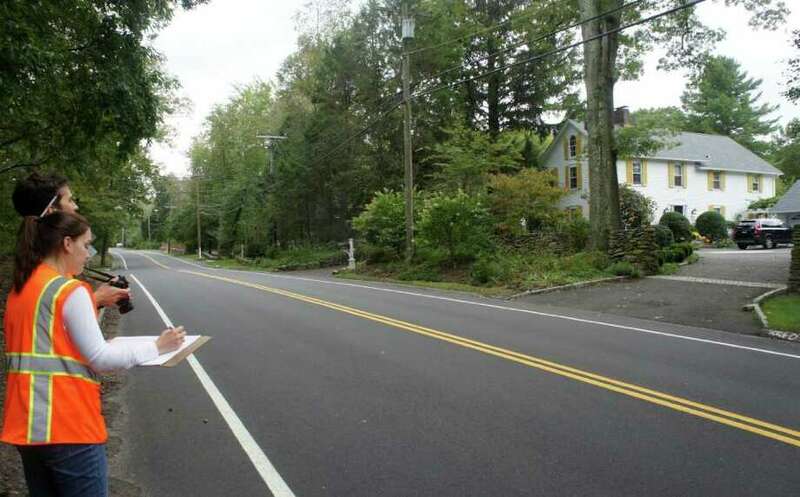 The project also seeks to update and digitize Historic Resources Inventory forms for about 60 properties in the Kings Highway North Historic District and to survey 10 properties that were not previously included in the inventory. The update and expansion of the town's Historic Resources Inventory is funded by a $30,000 grant from the state Department of Economic and Community Development's Historic Preservation Office.